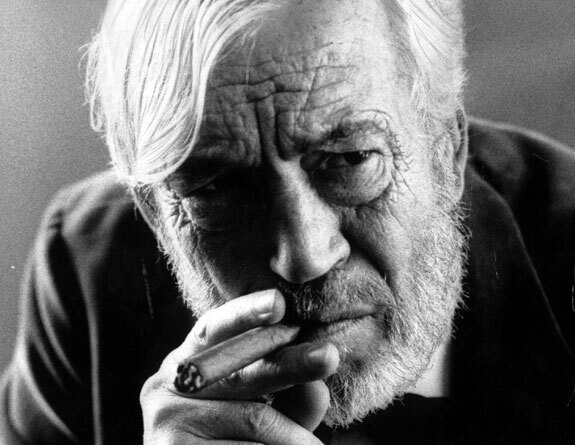 John Huston was a talented director, having produced films such as The Maltese Falcon and The Treasure of the Sierra Madre. But he was also an outstanding actor and screenwriter. Uploaded by seetimaar.blogspot.com. With the ease of editing using today’s technologies, it’s not unusual for directors to shoot a lot of scenes, a lot of takes per scene, and then to make the movie in the editing suite. That’s not how John Huston worked. He sketched each scene before shooting it, placed the actors deliberately, and made his movies as he was filming them. His pictures usually came in under budget as well. In addition to his direction duties, Huston also wrote many of his films. He won the Oscar for Best Director and Best Screenplay for The Treasure of the Sierra Madre. He was a skillful actor as well, having parts in several dozen films. 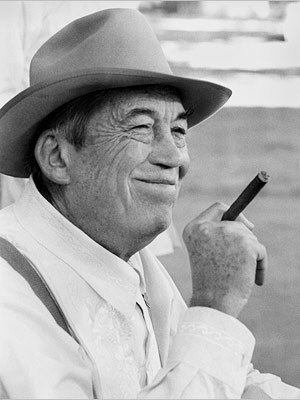 Huston received the Life Achievement Award from the American Film Institute in 1983. This entry was posted in ACTOR - DIRECTOR and tagged African Queen, American Film Institute, John Huston, Maltese Falcon, Man Who Would Be King, Night of the Iguana, Prizzi's Honor, Treasure of Sierra Madre. Bookmark the permalink.